Day two of the teacher's strike in Prospect Heights. 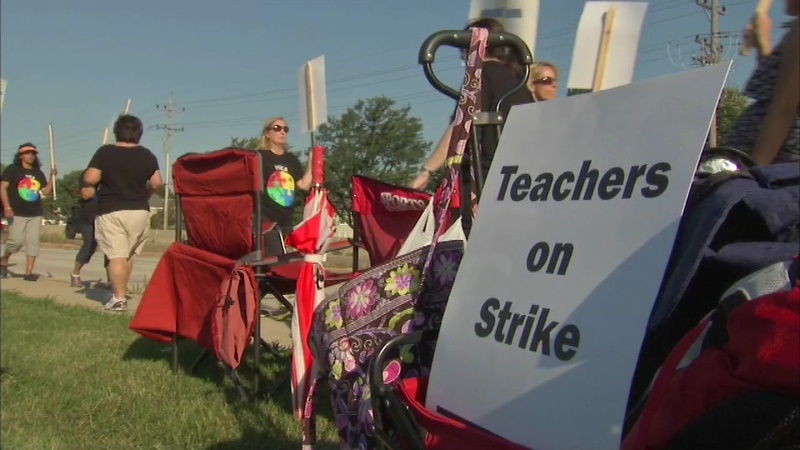 PROSPECT HEIGHTS, Ill. (WLS) -- The school board and union met behind closed doors in Prospect Heights Thursday night, but the meeting ended with no deal to end the teacher's strike. The union says its members left the meeting when the school board's proposal didn't change. The strike has impacted 1,500 students in District 23. Union leaders are fighting for higher salaries, saying they want to be competitive with other districts. School officials say they don't have the money. Both sides are not expected to meet again until Sunday night.